LEMON– Cleanse your counter tops with Lemon essential oil! Just add 10 drops in a 16-ounce spray bottle with water. 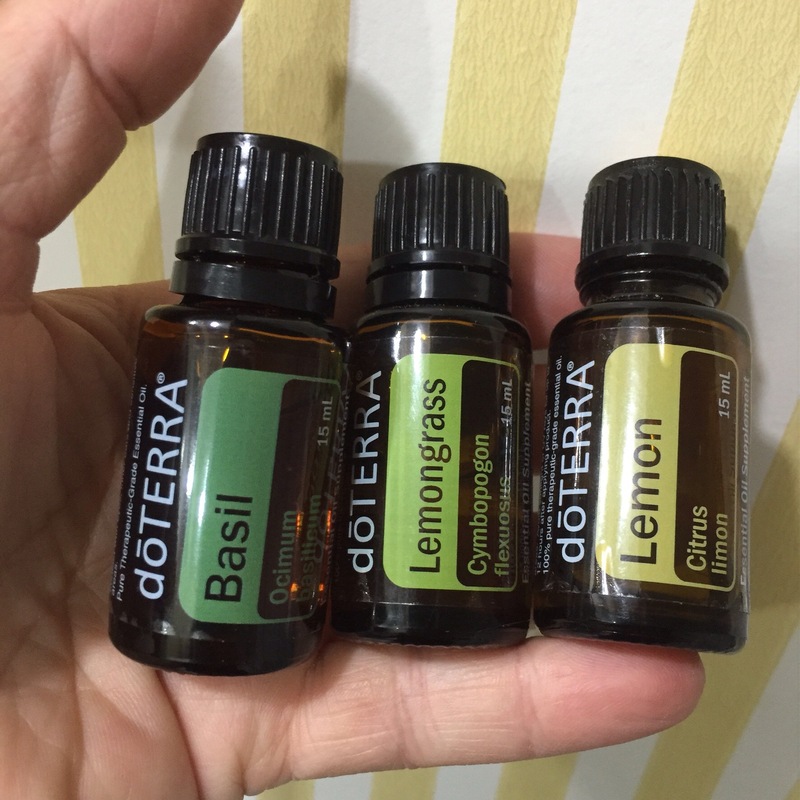 Remove sticker residue by rubbing 1 drop of Lemon essential oil on residue. For a quick energy boost, add a couple drops of Lemon essential oil to your glass of water. Diffuse to help uplift mood and cleanse the air. – See more at: http://doterrablog.com/eo-spotlight-lemon/#sthash.Xa2S9iXE.dpuf. LEMONGRASS-To help soothe sore joints or muscle sprains, combine equal parts Fractionated Coconut Oil and Lemongrass oil and rub topically on area of concern. Diffuse to help promote awareness and purification. Lemongrass blends well with Basil, Clary Sage, Eucalyptus, Coriander, Geranium, Lavender and Melaleuca essential oil. Use to flavor your favorite dishes while promoting healthy digestion. Rub or spritz on skin before going outside. Lemongrass essential oil naturally repels insects and is one of the essential oils in our TerraShield essential oil blend. What a beautiful earthy scent. Clean yet masculine. I think I’ll keep this one in the recipe box. If you’d like to order Doterra essential oils direct from the company at a discount I’d love the opportunity for you to link to my site. I’d be more than happy to share with you all the ways of using it and help you build your business or just help you figure out how to use these oils on a daily basis.